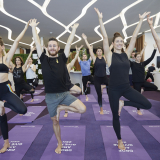 Virgin Australia today celebrated the first Darwin to Alice Springs and Alice Springs to Adelaide return services by announcing a 20 day sale, in which airfares between Alice Springs and other Australian destinations will be reduced by at least twenty per cent. 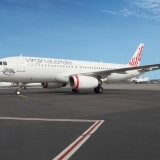 Virgin Australia Chief Commercial Officer Judith Crompton made the announcement in Alice Springs, where she was joined by the Northern Territory Chief Minister Adam Giles and members of the business community at a gala lunch to celebrate the new flights. Virgin Australia will operate three flights per week (Monday, Wednesday and Thursday) from Darwin to Alice Springs and Adelaide return. The flight will be operated by a 176-seat Boeing 737-800 which includes eight Business Class seats. “We are delighted to bring competition and choice to these routes and thank the local community for their support,” Ms Crompton said. “By bringing the great Virgin Australia service and style to Alice Springs, we will play a key role in supporting the region’s ongoing development and growth as an iconic destination. 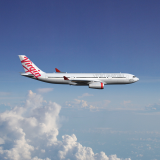 “To celebrate the launch of flights, we are offering at least 20 per cent off flights between Alice Springs and all our other Australian airports. 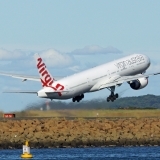 “We encourage Alice Springs residents and businesses to take advantage of these sale prices and experience the great service and product Virgin Australia offers,” Ms Crompton said. Customers can access this exclusive sale by visiting www.virginaustralia.com and using the code FGQ58. Bookings must be made between 30 March and 20 April 2015 for travel from 1 April until 31 December 2015. The reductions extend to Business Class seats. Northern Territory Chief Minister Adam Giles said, “The start of Virgin Australia’s flights from Darwin to Adelaide via Alice Springs will give tourism in Central Australia a huge boost and we are supporting this new route with a $250,000 month-long Alice Springs marketing campaign called Choose your own adventure. Domestic Business Class features Luke Mangan designed menus, complimentary lounge access and extra luggage allowance. 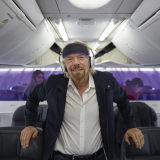 All passengers will have access to Virgin Australia’s wireless inflight entertainment system, with hundreds of hours of entertainment streamed to their own device.